CBC President Hubert Lacroix announced on February 1 that the CBC is launching a new strategy to boost its service to the regions over the next five years. Entitled "Everyone, Every Way," it plans to add new local radio stations and expand its online presence by a doubling of investment in digital services over the next five years. The money, he says will come from further "efficiencies and cuts." "What we'd like to do is expand our presence in the regions," Lacroix is quoted as saying. "You can't be a national broadcaster — I've said this since the moment I walked in — without being deeply, deeply rooted in the regions." This is good news coming from a national public broadcaster that, in the past, has tried to be a media "playa" by getting ratings hits. The CBC has tried to show the the federal government (which largely funds the CBC) that it is worth every penny of its $1 billion annual budget for one reason: it delivers eyeballs to advertisers, just like the big boys do in commercial TV. CBC Radio on the other hand, remains non-commercial, but it too has tried to appeal to the same media market with more pop music and host driven interview shows. While the ratings for some of the new TV offerings have been undoubted hits, the value of the CBC to Canadians seems more questionable than ever. Its popular television fare seem rooted in reality TV from ten years ago, while the CBC has doubled-down on hockey and related spin-offs which have proven to be popular in this hockey-mad country, but that affection for sports does not seem to be transferred to an appreciation for the CBC itself. More problematic are the changes to CBC News. Budget and staff cutbacks have been done by a deliberate focusing on news on the cheap: crime, traffic and weather. The once highly contextual coverage is looking and sounding pretty thin these days, with excited banter compensating for a lack of depth. On CBC Radio, music programming (mostly indie and pop and decidedly Canadian) has seen a huge audience decline as classical music - so loved by the core audience - has been largely abandoned. 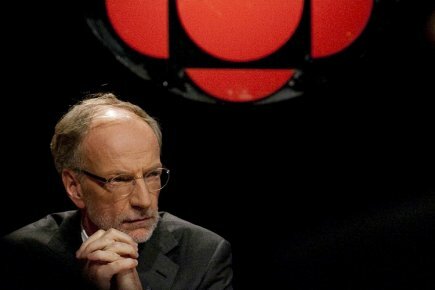 The CBC overall continues to struggling to find a role that is both unique and popular in a fractured media landscape. Not an easy task. While the Lacroix announcement may have played well inside CBC HQ on Front Street, it probably garnered less support among that once loyal, core audience. These longtime supporters of the public broadcaster are feeling dissed and abandoned and they are actively looking for alternatives. CBC management dismissed this core as being out of date and elitist, especially under former VP Richard Stursburg whose quest for popularity and ratings deformed the traditional appeal of the CBC. Stursburg was fired by Lacroix last summer, allegedly over disagreeing precisely this change in direction toward the regions. So what does it mean and what might it portend? First, the "regions" is code at the CBC for "not coming from Toronto." This is not always a bad thing, although some network-centric programmers in Toronto would surely disagree. If the regions were able to really have programming input that served a local audience, it might be even better. I once suggested to a previous CBC VP that the scheduling might best be handed over to the stations, leaving local managers to decide what worked best for their audiences. Said VP looked as though I had uttered something truly obscene. At the CBC, "serving the regions" means giving local stations the right to accept whatever Toronto tells them to broadcast. Second, the idea of more local radio is a good one, provided that the content is there to support it. The notion that local radio could originate from internet streaming live programming is a good way of expanding service while minimizing costs. The question of who listens to their computer over breakfast still needs to be assessed. Third, while this is all good in principle, some tough questions facing the CBC are still not being addressed. What is the role of the public broadcaster in 2011? Can service be expanded without diluting quality? Should the CBC be expected to provide everything to everyone as per "Everyone Every Way" with its present budget? If the CBC had to make hard choices about what it should be (without being forced to by the federal government) what would it look like and sound like? Finally, what can be done to restore public trust and support for the CBC? Management has said that a CBC version of PBS or TVO (the Ontario public TV broadcaster) is not an option, but they never say why. My guess is that if they ever openly considered that route, the federal government would quickly agree and slash the budget. Which is bound to happen, especially if the Conservatives win a majority in Parliament. But without considering other options, "Everyone Every Way" is a step in the right direction, but the CBC is only forestalling the inevitable. Which may not be so bad after all. In terms of serving the regions, I don't know how this will work with the new CBC News structure. The CBC press releases talk about "The Hub", an integrated news desk in Toronto that sets the news agenda across the country, on both radio and television. When I was working in Halifax in 2009, just before the re-design was announced, this structure was already being put into place. I also spoke with a reporter in Montreal who confirmed this "Hub" structure was in place. So perhaps not much has changed in the corporate thinking about serving the regions. Although I'd like to know what others think. As well, I understand that the aim of serving the regions came out of a CBC survey from a few months back. Lacroix sent a follow-up to the survey, essentially telling respondents that the CBC had heard them loud and clear about their desire for more regional coverage. But also, historically, the CBC has learned a few lessons about what happens when it makes cuts to the regions (in 1990, CBC shut down 10 or 11 stations, which lead to a political backlash). All this to say the "Everyone, Every way" campaign seems to be a reincarnation of the much more pessimistic outlook provided in the 2009 AGM after the cuts were announced (when the CBC announced it must make a transition from a traditional broadcaster to a content company in order to survive). While the CBC is attempting to renew its image, it's also slowly repositioning itself/fending off political backlash. But to what end? Again, like Jeffrey, I'm not sure. Sp far there's no real meat on the bare bones of the "new CBC"; that comes later. I suspect that's when it will get ugly. I often think watching BBC programs on TVO and BC's Knowledge Network that it has more hits than misses. Programs that entertain, amuse and educate. But most importantly, programs that are made in the UK for a UK audience. Selling the programs outside the UK is a plus, but not the primary reason for producing them. A few, very few, examples: Gently with Martin Shaw [entertainment]; Seven Ages of Britain [entertainment mixed with history made with flair as an educational program]; Downton Abbey [pure delicious entertainment and as a side note: why hasn't a Canadian broadcaster purchased it for Canadian showing?]. There's a long list both from BBC and ITV - the commercial UK broadcaster. The same network which created Brideshead Revisited and Joanna Lumley's Nile series. Shows which reflect Canadians to themselves CAN be made. There's a large core of technical professionals and a willingness towns and cities to provide location help. Don't get me started on CBC Radio. I listen to ClassicFM UK on my computer. It has some low-key advertising, but it's 24/7 classical music. Figures out today show it has more than 5.5-million listeners and it supports and broadcasts classical music concerts. CBC used to have a staff in its London Bureau which did nothing but book concert performers for CBC Radio. I fear the "meat" on the bones of the announcement will become rancid before it becomes reality.